There has been a lot of question around what you can actually do with Microsoft Azure Active Directory Domain Services. Can you replace your on-prem domain controller? Do you need Active Directory anymore? Can you join your on-prem devices to the cloud domain? What is a cloud domain and does that even make any sense? The list of questions goes on and on. There’s a lack of understanding on what Azure AD Domain Services can do, so we wanted to provide some clarity. Azure AD Domain Services is a domain controller for your Azure virtual machines and systems. It is not meant to replace your on-prem domain controller, nor can it join on-prem systems to a cloud domain. In fact, Microsoft’s viewpoints on what Azure Active Directory is relative to Active Directory and how that relates to the domain controller is highlighted in this post on Spiceworks. What’s interesting is the concept of the domain itself in the cloud era. When many of your IT resources and services are all across the world, does it even make sense to have a domain controller? A homogeneous Microsoft Windows network located on-prem is no longer the norm in IT landscapes. Modern organizations are leveraging the best solutions for their organization. Consequently, Mac and Linux devices, AWS cloud servers, the G Suite productivity solution, and others may be concurrently operating. Active Directory struggles to manage users and access to those other, non-Windows resources. As a result, we are seeing modern organizations moving to next generation IDaaS (Identity-as-a-Service) platforms. This approach eliminates the need for a domain controller – whether on-prem or in the cloud. Even better, this approach centralizes user management across all of your IT resources, including systems, applications, and networks independent of platform, provider, protocol, and location. 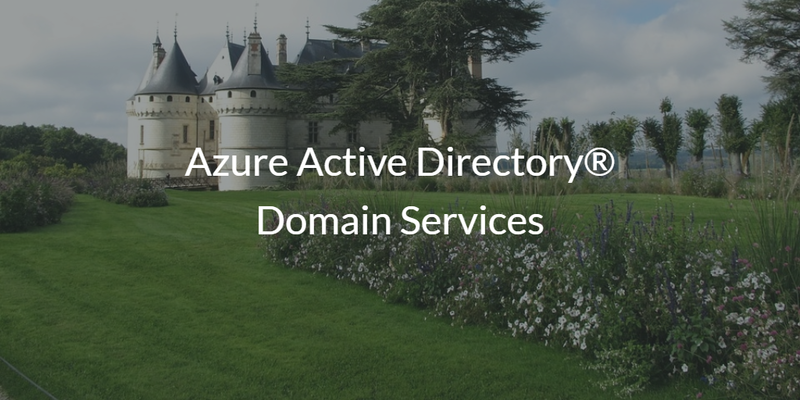 Directory-as-a-Service® is the leading alternative to Active Directory and Azure AD. With core functions of system management of Mac, Windows, and Linux machines, cloud LDAP and RADIUS services, MFA, True Single Sign-On™, WiFi authentication, and more, Directory-as-a-Service also eliminates the need for a domain controller. If you would like to learn more about Azure Active Directory Domain Services, drop us a note. Also, give our cloud-hosted directory services solution a try. Since your first 10 users are forever free, sign up for a free account today.